An Eastern Amberwing dragonfly floating along atop a dried leaf at Reelfoot Lake. This spot at the Reelfoot National Wildlife Refugee is one of my favorite places to stand and listen to silence, intertwined with the occasional sweet sounds of nature. This male Blue Dasher reminds me of a mini-helicopter prepared for takeoff. 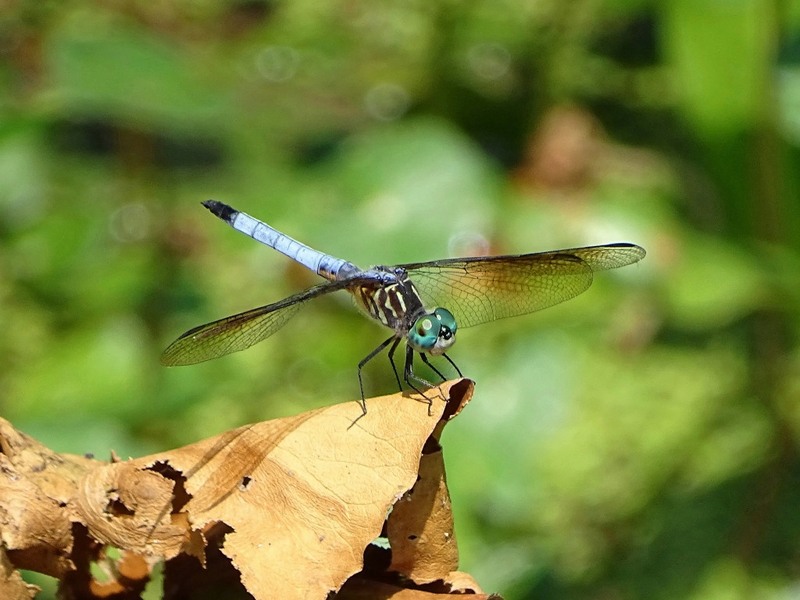 Dragonflies spotted around the area of Reelfoot Lake, Lake County, Tennessee.